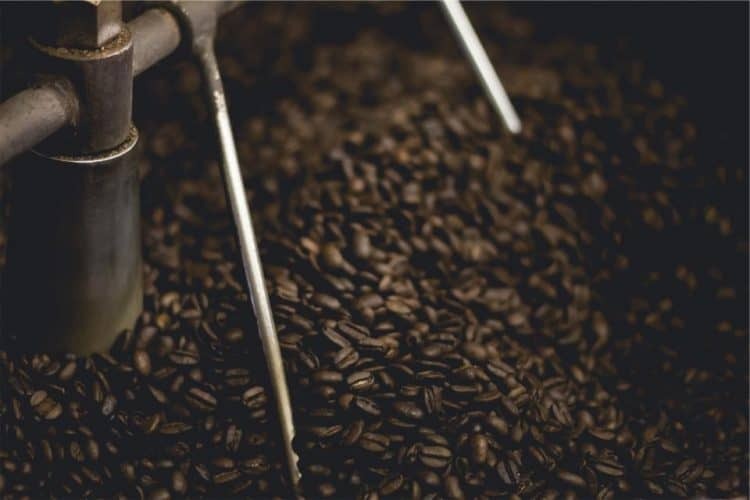 When you look at the law requirements carefully, it is easier to set up a coffee roasting business since the regulations in your region are not hard to grasp. Learning how to roast coffee beans commercially, however, takes a different curve. You need to join different parts of the information you collect. 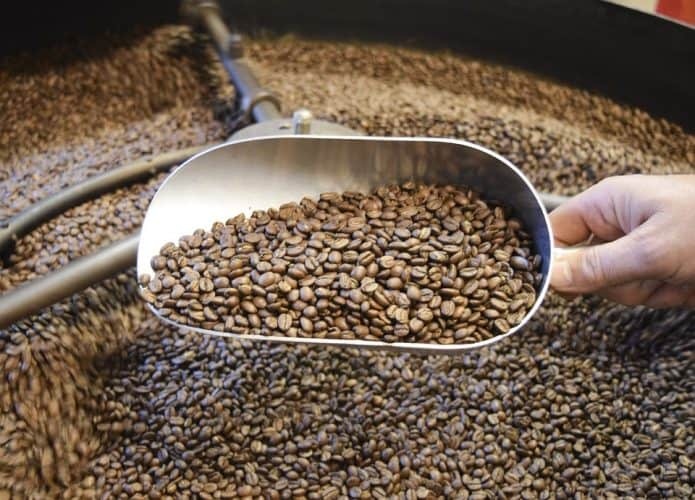 Apart from the roasting process, there are other factors to consider. As you progress, some things in the business will actually take you by surprise. In your journey to become the next roast master, I will help you understand the crucial aspects you need to look into before selling your coffee brand. Before taking the initiative to buy a roasting machine, it is essential to go through the roasting theory. I will share with you the basics which will aid in more in-depth research as you find out how to come up with different flavors out of the beans. The machine you are vying for might have a different approach from the big ones that even make use of conveyor belts. Regardless of how you work with it, it would help if you weighed the green beans first. Why? By the end of roasting, the weight will be less. Recording the weight values will allow you to adjust prices accordingly and also know how the chosen beans perform. Before pouring the beans into the roaster, it’s a good idea to let the machine heat first. That way, you will have an even roast. Furthermore, after pouring the beans, the temperature reduces since they are taking in the heat before it rises again. After pouring the beans, an endothermic process begins where they take in heat and slowly start to turn yellow. At this point, you get a toast-like fragrance. Roasting machines need you to check the temperature levels in intervals, varying by a minute or so. At around 205 degrees Celsius, you get the first crack. What happens is that the beans enlarge in size as the trapped moisture tries to escape. Other physical and chemical changes are still taking place. During the first crack, the coffee seeds acquire a light brown color but lose an average of 5% of the total weight. The first brownish color is a sign of light roast. After the first crack, the temperature rises to 220 degree Celsius to turn the beans from light brown to brown. That means you have a medium roast with a 13% weight loss. As the color shifts, the beans undergo pyrolysis, a chemical process that changes the beans’ composition as they release carbon dioxide. The beans continue to heat until the second crack is achieved at 225-230 degrees Celsius. At this point, you get a medium dark brown roast, and you can choose to stop the roasting process at this point. You, however, have to lower the heat level after the second crack. At this point, there is enough heat to continue adjusting the beans. Lowering the heat is a way to let the coffee flavors build instead of achieving a bitter taste. Achieving an espresso quality, for example, needs you to consider building upon the sweetness and lowering the acidity. Sugars in the beans start to caramelize at 170 degrees. The reason why coffee gains a dark color is due to sucrose presence. Some premier beans such as the Hawaiian Kona come with a light roast which is meant to preserve the inherited flavor. The above shows us that after roasting, how you cool the beans and the method in the application can affect the taste of coffee when it’s time to brew. In the market, you will find coffee branded with names like Full City Roast or the French roast. As a commercial coffee roaster, you will need to be familiar with how to achieve such and know why people favor the Full Roast. The amount of time needed to roast your coffee beans successfully is around 8-10 minutes if you have the machine. If you are doing it using a pan (at home, not commercial), it will take you about 15 minutes. An extension of about 5 minutes in both methods can be allowed if you need it darker. Do you want to know more about the color changes during the roasting process? Here is a video for you. Now that you are familiar with the roasting process, it’s time to look at how you would like to start roasting your coffee. If you have the capital to start, it will make sense to skip this section and go straight to considerations before you buy a roaster. On the other hand, what if your budget is limiting you to hiring a space and installing the machine? I share this with you since I was also faced with the same dilemma. 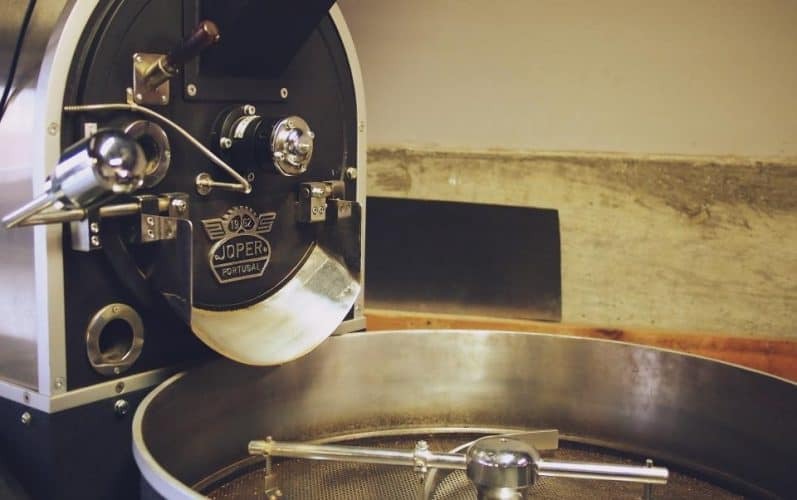 So, if you are not familiar with roasting yet or have some financial incapability, then it is crucial that you check on what other roasters are doing and see if you can work out on a plan. Getting a roaster contract means hiring someone to roast and sell your coffee (or you can have a distribution channel) with your brand name on it. That way, you can concentrate on getting customers, from home to café owners. Before you decide who is going to roast it for you, consider how much you are going to sell per unit based on the analysis from the roasting businesses or companies. During the analysis, it is also essential to check on the blend and see if your customers will enjoy the taste too. If you are not happy with what you see, go to the next roasting enterprise until you get what you are looking for. If you are going to hire someone to do it for you, here are the pros and cons that you are going to encounter. Savings: Since you are not budgeting for suitable equipment and space, the cost of business on your end will involve the distribution and other necessities. No space requirements: You will not be renting any space to operate. You can choose to receive your coffee at the comfort of your home or fetch it from the factory and take it to your customers. More time: You are not roasting any coffee here so, no sorting, roasting or packing. That means you have more time to look into your customers and what they require. In the coffee business, losing a customer is as easy as snapping your fingers. Why? Your competitors are not resting. You need more than just selling out. People need to come to you and taste your coffee. That means arming yourself with samples. Bigger companies are doing more than just roasting. They are developing machines, offering free services and incentives such as product bonuses and branded items such as t-shirts and umbrellas. What are you doing? Under a contract, it is possible for you to sell as much coffee as you can if you have the customer base. However, do you think cafés (which are your biggest customer) will want a coffee brand that doesn’t have a story to share? They need a product that will bring in customers who are in love with it. Therefore, you should know that coffee selling entails more than just the coffee itself. Since you have less to offer and no story accompanying your coffee, the only thing left is gaining some patience as you search for customers. You will have to go around talking to your customers about your hired roaster. In short, yes you will save money by hiring, but you need the extra effort to sell to cafes, restaurants among other customers. It may sound as ‘not vital’, but when you start, that is something you need to figure out. Most of the people who have a roasting machine do it at home so, they may not need the complexity offered by commercial types. Therefore, if coffee roasting is going to become your side hustle or a way to quit your daily job, it is advisable to start small. Why go for a 10kg roaster costing more than $10,000 yet you haven’t known how to invent your blend? Start with a 1kg machine since testing with the prior implies wasting resources. Are you still an amateur? How about learning about how the roaster works. As you consider the amount, you also have to go through your green beans and determine the supplier. An advice that I would urge you to forgo is picking something in the middle – like a 5kg roaster. Why? It is a good idea to pick such so that it covers growth as customers expand but what if you have no customers? That means starting with something small and outgrow it. That way, you will sell the smaller machine to a second-hand buyer when you have more coffee buyers and the money you get goes to a bigger coffee roaster. A tip here would be keeping the smaller roaster for testing purposes. Maybe you guessed your solution to be gas. Well, consider the size of the roaster first, how much you need to install it, whether you have a reliable gas line, and whether or not you need a gas fitter. Next, are there laws governing gas connection? Check on that too. If you are going electric (like me), it offers you more convenience if you have a small roaster. Small ones are easy to plug in and use. If there are regulations around gas use in your country or region, electricity comes in as a suitable alternative. Depending on your budget and knowledge about coffee roasting, you can start small or big as the situation permits. I started roasting in my garage as I learnt, but I could see my friend making moves to join one of the cafes in town. If you are partnering with a café owner, the points below are already addressed. Access to room or space: You need to look at the coffee machine installation after how it gets into the room. As you expand, you will need more coffee beans, maybe arriving in pallets. Therefore, considering how the stock can be wheeled in not to mention a vehicle accessible area if there are trucks involved is crucial. Ventilation fitting: Many gases are coming from the beans and the heating venture. Some coffee masters will advise you to roast outside which is the best. Since you want to do it within some walls, then you need to fit in some ducts and maybe a vent hood to take the fumes out. Furthermore, taking them out is an excellent way to inform your neighbors about your intentions. Solving humidity: As your coffee dries, moisture might affect the final results unless you have some background heating. You might witness ink smudging on the labelling when two packets come into contact. The heat will solve such problems. Other essentials: Your room will need the internet for research and letting your customers know what’s new. More to that, there is a need for proper drainage and electricity connection. Are the customers calling now and then? You may consider having a landline to relieve your phone from all the mayhem. As we conclude, roasting coffee commercially needs you to be patient since it’s not going to be that easy. If all the advice and tips above make you see it as an easy and digested process, it’s because I have been in the field for years now. Before you get your first customer, you need to learn how to roast your coffee and the flavors you are going to deliver. Apart from that, you will need to study the beans you get since they are not the same but make sure you get good beans, nevertheless. That is where your success starts. Saving to buy a suitable roaster: It is a good idea if you had a small roaster then save to buy a bigger one. Why? If you need to test your samples, a bigger roaster will be cumbersome as opposed to a smaller one. Have some professionals with you: Those before you know something that you don’t. If you want to start while on the right side of things, involve them in your roasting business. See what they do, let them test your samples and work on the help you get. Expand your knowledge and skills: Learn where the green beans originate, the roasting process in depth, and how you can better your coffee selling strategy. It is essential to develop your taste which is faster to learn when using others than by yourself. You can work on the coffee niche as a side hustle as you get things to order. Once you are ready to go full scale, that’s when you quit the 9-5 job and start enjoying what you have been working for. A word of caution though, choose your customers wisely. Make sure they are loyal to avoid disappointment at every turn.